See that title up there? I don’t really mean that. I just thought it went with the topic. I don’t really want it to snow, but in a Canadian winter, it’s kind of a given. And when you have Miniature Horses to care for, winter adds a whole new level of complication. That is the question, the first one to ask when you are planning your winter horse management. 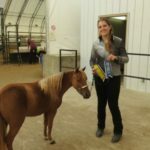 Generally, the right answer for your horse is Not To Barn. Horses are made to be outdoors. Provided they have a full winter coat, a healthy body condition, access to plenty of forage, and shelter from the wind, the outdoors is the best place for them to be. If you do choose to stall your horses, make sure they get as much turnout as possible, even when the weather is less than ideal. They won’t melt, I promise. That said, I do have three elderly horses who are spending this very cold winter inside. One needs to be on stall rest due to an injury, another isn’t dealing well with all the frigid weather, and the third is blind and relies heavily on his stall resting friend. Sometimes a stall is a necessary evil – and really not that evil at all. Not only does digesting forage help keep your horses warm, it also keeps them well hydrated and helps prevent colic and gastric ulcers. Horses aren’t made to ever have an empty stomach, and daytime fasting can be dangerous at any time of the year, let alone in winter when they have the added stresses of keeping warm. In the winter, forage generally means hay, and ideally they need to have access to it 24/7. 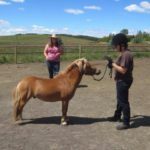 Now, Miniature Horses are often “easy-keepers” and even in winter they might easily get too fat with full access to feed. This is where a slow-feeder net comes in handy – horses quickly learn that the food will always be there, and instead of gorging themselves and standing all day with their head in the bale, they pick up a more normal grazing pattern. The colder it is, the more forage I feed, as the more calories they will burn keeping warm. 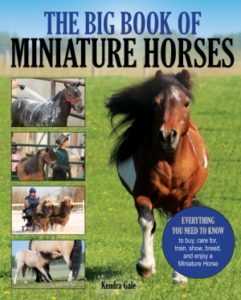 Miniature Horses are particularly adept a growing winter coats. For six months of the year, ours more closely resemble teddy bears. Or yaks. 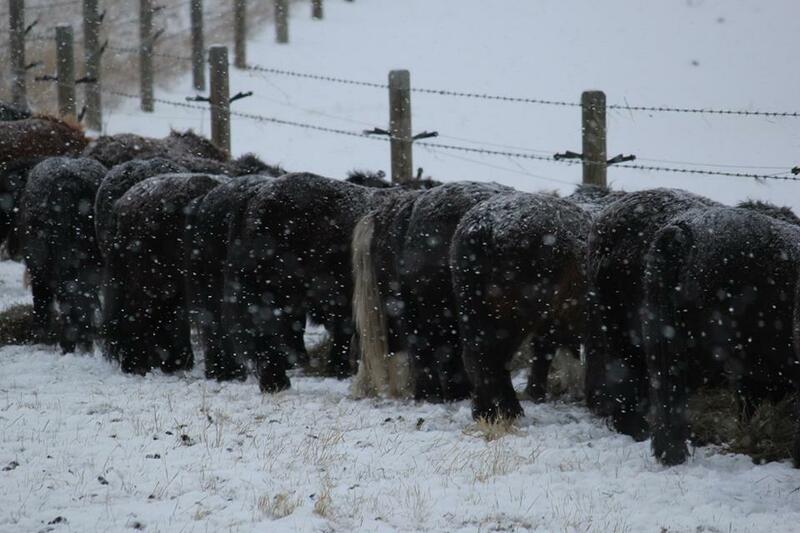 All that hair does its job, keeping them warm and dry through the nastiest weather that winter can throw at them. When it comes to winter grooming, less is more. Let that coat do its work. If your horses are out in the blizzard, pawing to find the last of the summer grass with a couple inches of snow on their backs, that’s a good sign. It means the coat is keeping the body heat in, instead of melting the snow and making them wet. If you try to brush that snow off, that’s just what’ll happen. Let them keep that extra insulation, and let them make the decision to get into their shed. Movement keeps them warm too, so don’t lock them up. On the other hand, that thick winter coat can make it hard to see the big picture. In the summertime, it’s easy for even a horse care newbie to spot when a horse needs to have their ration increased; the evidence, in the form of visible ribs and hipbones, is right there to see. In the wintertime though, it’s not so obvious. I know experienced horse people who’ve been fooled by the winter woollies, particularly in weanlings, only to find a skin and bones baby come spring. Please, touch your horses regularly, feel for a nice layer of fat over their bones, and adjust their feed accordingly. Keep an extra close eye on those weanlings – babies need a lot of nutrition for all the growing and developing they’re doing, and then there’s the energy that goes into keeping warm. Okay, not hot, but horses need to have access to fresh, unfrozen water all the time. Yes, they do eat some snow, but they’re not able to eat enough to keep themselves hydrated. Their water consumption will decrease in the cold, but everything you can do to encourage them to continue drinking will reduce the incidence of colic. I worked for an equine vet clinic for almost 17 years, and the highest incidence of colic is always right after a cold snap. Whether you have heated pails or automatic waterers, find a way to make sure your horses always have access to unfrozen water. It could save your horse’s life. Some horses will need a little extra help to get through winter warm and happy and healthy, and it’s most likely going to be the older members of your herd. The first thing you can do for your senior horses, is have their teeth examined and floated as necessary in the fall. While your veterinarian is looking at their teeth, let them know of any other concerns you might have. Winter can be harder on senior horses, and you need them to be going in as healthy as they can be. Monitor them closely as winter gets underway – many horses do just fine into their 20’s without any additional care, but others may need some help in the form of a winter blanket (it’s easier to maintain condition if they don’t have to use valuable calories to keep warm) or supplementing their diet with a complete feed formulated for the nutritional requirements of senior horses. While blanketing can be the right choice in some circumstances (ie – elderly, thin, or late clipped horses), make sure that you are aware blanketing is a commitment you need to take seriously. If you are going to inhibit the horse’s natural coat, then it’s your job to make sure that they not only stay warm, but don’t get too hot when the Chinook blows through. Additionally, you need to be sure to remove the blanket regularly to check for painful rubs, hidden skin issues, and most importantly, body condition. I’ve heard of more than one well-meaning owner who blanketed their old horse through the winter, and didn’t realize the blanket was hiding the fact that they were losing weight dramatically until it was too late. 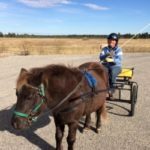 While winter horse keeping does have its own unique challenges (and we haven’t even touched on the winter issues faced by those of us doing horse chores at 40 below in a blizzard in the dark), the excited nickers and happy, furry faces of healthy horses are a pretty good reward. Just remember, the cold never bothered them anyway. 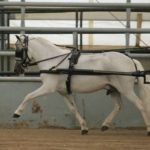 Great tips – looking forward to the feeding course. Winter roughage is so critical and can be challenging for the “easy keepers”. I have an additional source I add to the mix for my little horses – I provide straw in slow feeder nets available 24/7. This keeps them busy and active in between their servings of timothy hay and has eliminated chewing on the fence boards!